Fast, fresh and delicious. The perfect summer salad for your Memorial Day celebration. Cook pasta according to package directions. Drain in a colander. 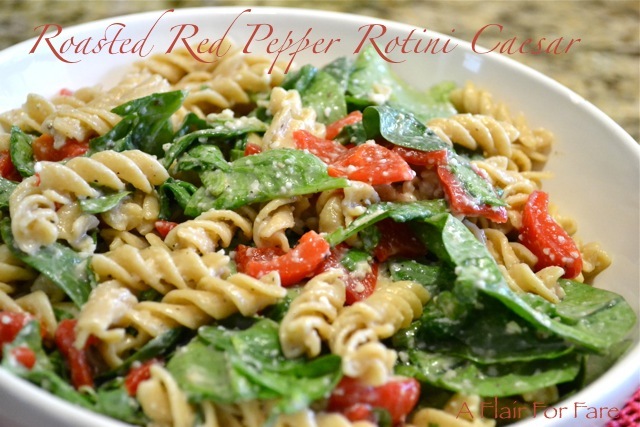 In a large mixing bowl, toss rotini, dressing, red peppers and spinach until well combined.